A seed pod in the snow. Last winter, walking in the park one day, I came upon this very simple scene. Nature shooting is not something I do a lot of, but this just cried out to me, “take my picture”! So I did. It’s a very simple photo with lots of texture. I think that’s what appealed to me. It was sunny and the snow was somewhat granular allowing each grain to throw a little shadow. The pod also threw it’s own shadow and cutting thru the frame diagonally made for a nice composition. It didn’t seem like that long ago but here we are again, snowy weather is starting and before too long we’ll be seeing days like this and I’ll be looking for scenes like this. I hope you like WordPress’ option of snow falling on the screen. Seemed an appropriate thing to enable. Let me know what you think. If you are reading this on Facebook or on an e-mail, click on the title to go to the actual blog site and you will see the falling snow on the screen. Kinda neat! This entry was posted in Uncategorized and tagged Granular, Hiking, Lake Metroparks, Metroparks, Pod, Seed, shadow, snow, Texture, Walking, winter. Bookmark the permalink. I really like this too…a timely reminder of the cycle of life. The promise of spring and new life in the seed pod is in sharp contrast to the starkness of snow and brown of decay. A good reminder that life is always there, even when its dormant. Thanks!!! Thanks Barbara! Great observations and thoughts about this photo. Still “Simple Enough” isn’t it? Glad you liked it! Lovely blog that enriches the mind of the viewer. 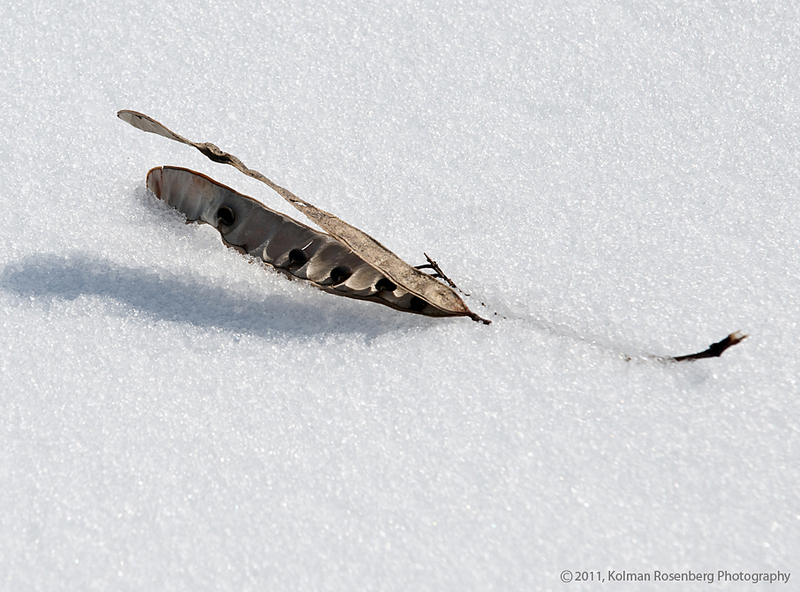 The impact of this picture lies in the contrast created by a simple seed pod in the snow. Thanks for sharing! Thanks very much for your insightful comment! It’s exciting to see the blog reaching halfway around the world!